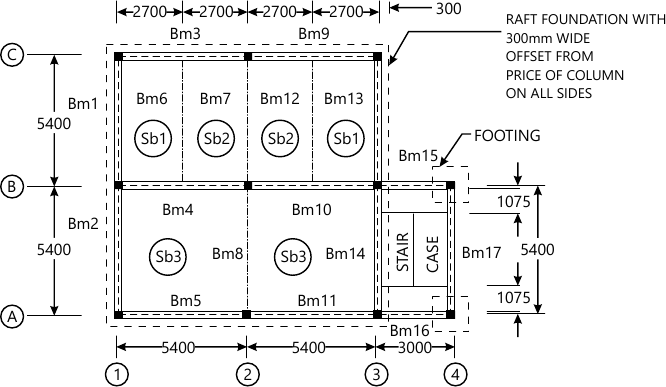 (3) Draw neat diagrams wherever necessary 1 (a) Figure below shows a typical framing plan for a office building. The design live load is 4KN/m2 and floor finish load is 1.5KN/m2. All external beams and beam Bm4 and Bm10 are supporting 230 mm thick brick wall. Floor to floor height is 3.2m. Grade of concrete M20 and steel Fe415. All columns are 300 mm × 300mm in size.